They honoured Marie Curie by giving her… eyeliner? IN HONOUR OF International Women’s Day, Snapchat has released three special International Women’s Day filters in honour of civil right activist Rosa Parks, artist Frida Kahlo and scientist Marie Curie. The Frida Kahlo filter gives the user thick eyebrows, red lipstick and a flower crown, while the Rosa Parks filter gives the user a pair of glasses and a little hat. The Marie Curie filter in particular has raised some eyebrows. For some reason, the filter superimposes eyeliner and mascara on the user, while smoothing their complexion. Hardly the best way to honour a pioneering scientist, is it? Female scientists have complained that it misses the point of Curie’s contributions to science. After all, it’s not as though she’s famous for rocking a smokey eye in the lab? 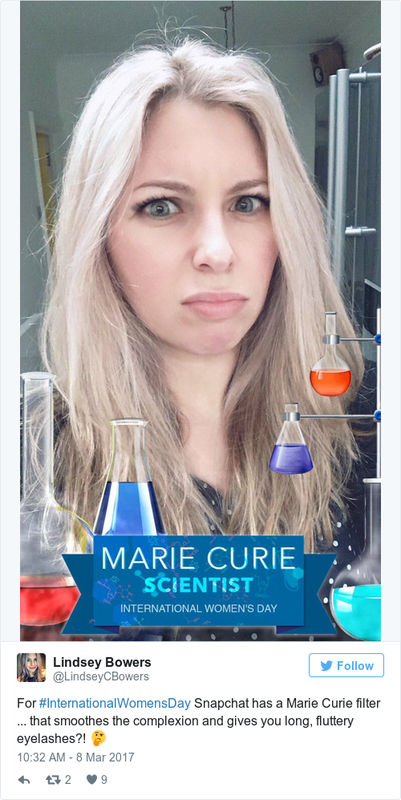 Hey @Snapchat why does the marie curie #internationalwomensday filter give me more makeup? A little backwards isn't it? 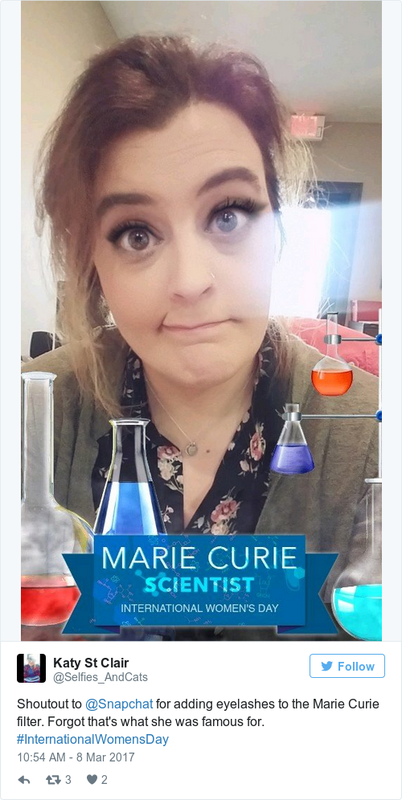 why does the marie curie snapchat filter have to have makeup as a part of it????? Email “Snapchat spectacularly missed the point with their International Women's Day filters”. Feedback on “Snapchat spectacularly missed the point with their International Women's Day filters”.